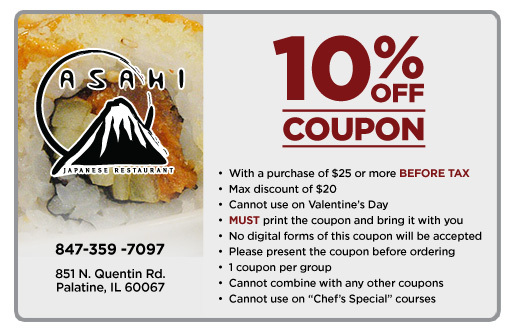 "Ira Shai Ma-Sei" in Japanese means welcome, and that's exactly how you will feel when you visit this small Palatine neighborhood restaurant. 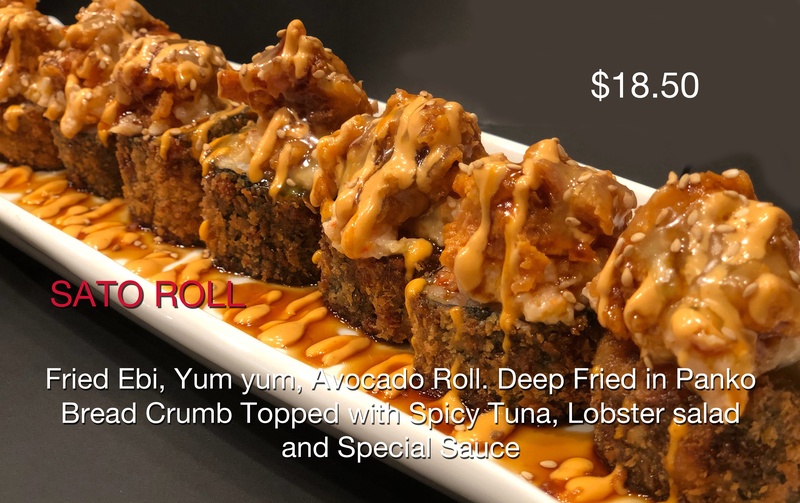 Feel comfortable in the family like atmosphere of Asahi as you enjoy our fresh traditional sushi, creative contemporary maki, or many of our kitchen appetizers and entrees adorned with our tasty house sauces. 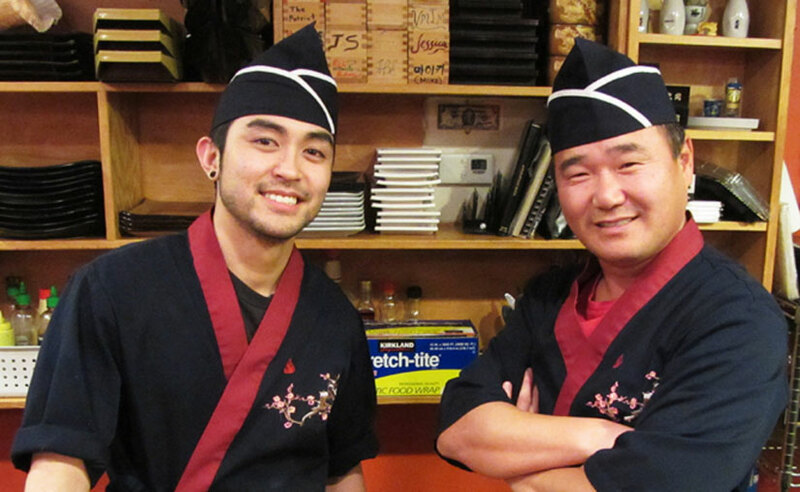 Pair your meal with our variety of sakes or imported beers to truly complete your Japanese experience. 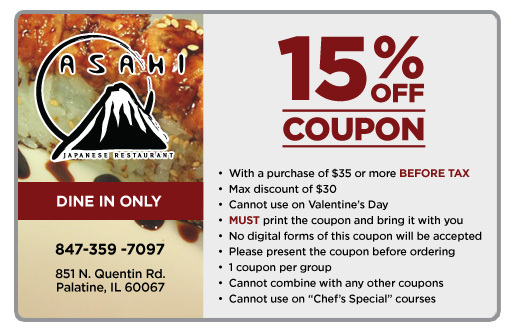 If excellent sushi were the only criterion for gratitude, Sushi Asahi (851 N. Quentin Road, Palatine, 847-359-7097) would be my choice. 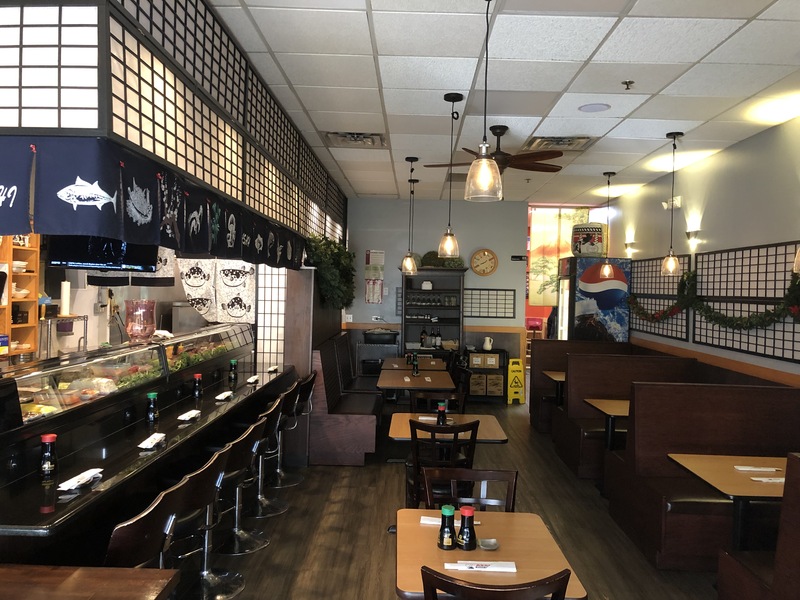 This casual spot is cozy-small but rises above the fancier competition with first-rate fare and a staff-to-customer ratio that guarantees attentive service.